Marcia Burtt Studio presents Coast, featuring paintings that celebrate the perpetual movement of waves and tides, the structure of cliffs and rocks, and the pop color of a day at the beach. 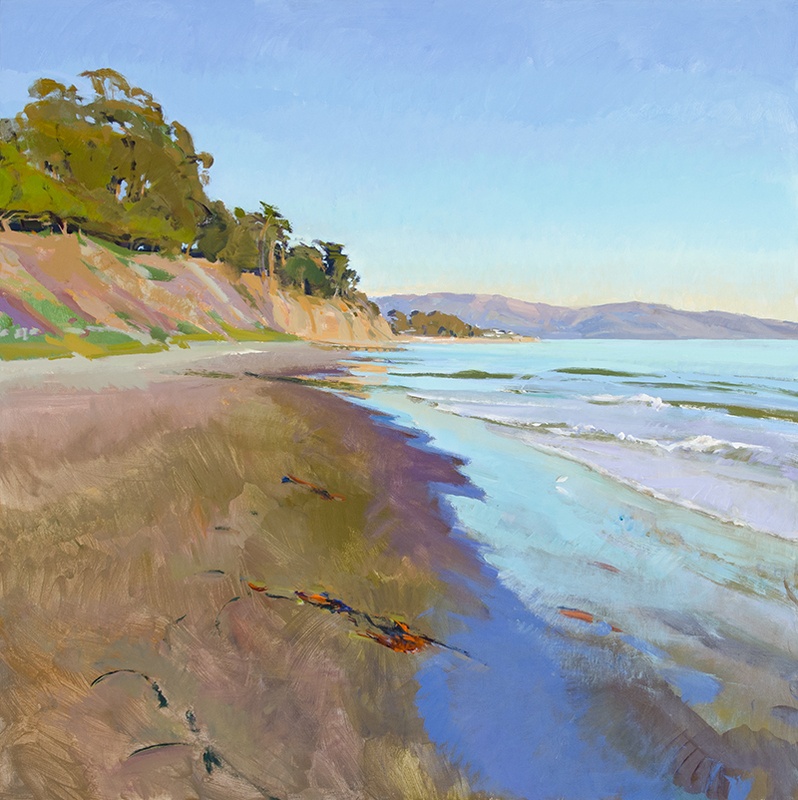 Highlighting the exhibition are Marcia Burtt’s virtual windows onto East Beach and Butterfly Beach, the spectrum of colors in Anne Ward’s beach holidays, and Michael Ferguson’s sublime overlooks of our Northern Coast. Coast will feature paintings by Marilee Krause, Michael Ferguson, Patricia Doyle, Anne Ward, Ann Lofquist, Ian Roberts, Marcia Burtt and photographs by Bill Dewey.